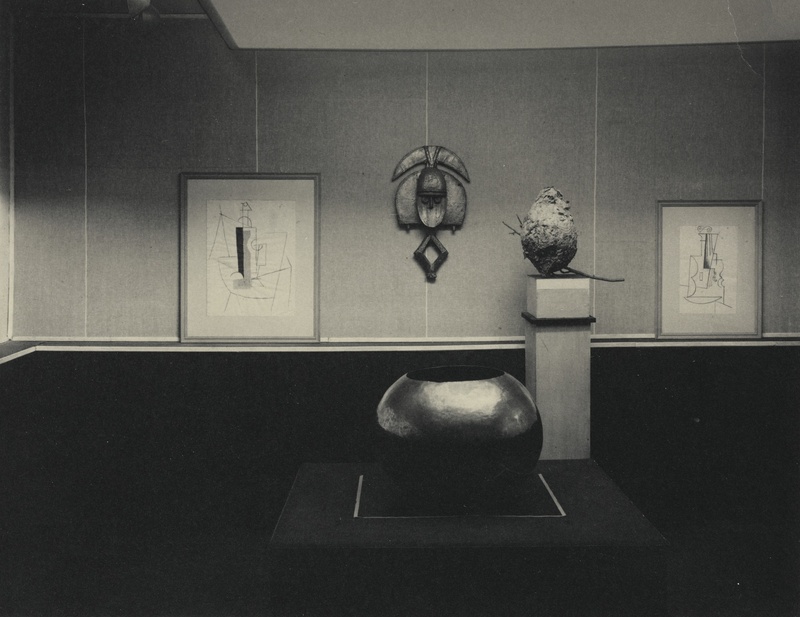 Alfred Stieglitz, ‘The Picasso-Braque Exhibition, “291”, 1915. Platinum print, 19,5 by 24,7 cm. Image courtesy of Sotheby’s. A remarkable result earlier this month, was the $ 173,000 for which the above picture sold at Sotheby’s New York (info). It was made by Alfred Stieglitz (who was married to painter Georgia O’Keeffe) in 1915 at Galerie 291 in New York. It’s estimate was even higher: $ 200,000-300,000. ‘We had a few drawings by Braque and Picasso, and I determined that they would be fine material for the next exhibition. I bought some bolts of cheesecloth . . . and we covered the dust-darkened walls with it . . .Then I hung the few Braques and Picassos on the walls and several of the more or less related African sculptures with them. The place looked clean, fresh, and alive again, but I felt something was missing . . . When I mentioned this, [Emil] Zoler said he had a big wasp’s nest in fine condition. A wasp’s nest was perfect, especially in relationship to the Cubism we had on the wall, and it was brought in’ (A Life in Photography, Chapter 5, unpaginated). As Helen Shannon proposes in her essay ‘African Art, 1914: The Root of Modern Art,’ to which this entry is indebted, the photograph offered here functions as a kind of artistic manifesto. Two Picasso drawings—Still Life: Bottle and Glass on Table (1912), and Violin (circa 1912)—flank a Kota reliquary figure, whose shapes are echoed in the drawings and the organic forms of the brass bowl and wasps’ nest. 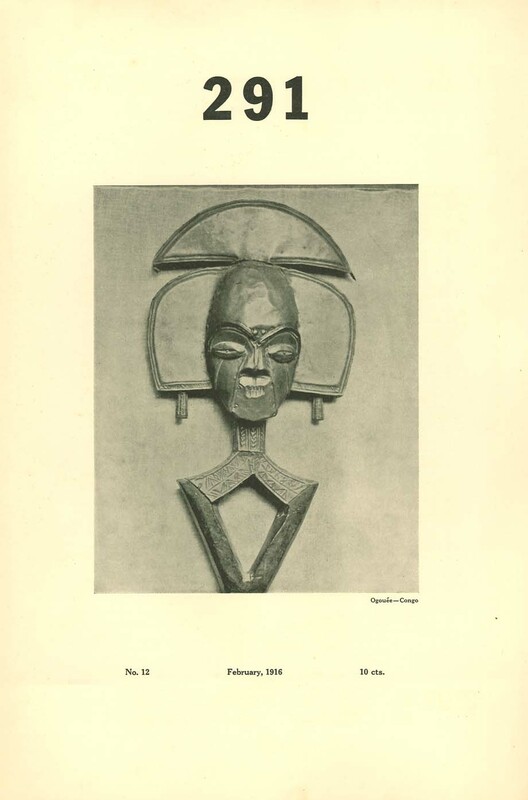 Stieglitz had been among the first in America to promote Picasso’s work, and in 1914, he had mounted a ground-breaking exhibition of African sculpture, an innovation outside of ethnography circles. As Shannon writes, this meshing of cultures, different decades, and the natural world calls into question the traditional distinctions between Western and ‘primitive’ societies, and between high and low art (Modern Art and America: Alfred Stieglitz and His New York Galleries, pp. 178-9). The photograph offered by Sotheby’s was acquired directly from Stieglitz. Apparently only five other prints of this image are known: at the National Gallery of Art; The Metropolitan Museum of Art; The Museum of Modern Art; Philadelphia Museum of Art; and one formerly in the Gilman Paper Company Collection, sold by Sotheby’s in 2006. UPDATE: While I had first written that the present location of the featured Kota was unknown, Patrik Fröhlich kindly informed me that Stieglitz’s Kota is at the Fisk University in Nashville. His wife Georgia O’Keeffe donated his collection (including three other African objects) to them in 1949 (info). UPDATE2: Yaëlle Biro informed me that this Kota in fact is co-owned by Crystal Bridges in Bentonville, Arkansas – read more about it here (where you can also see Stieglitz other African art). 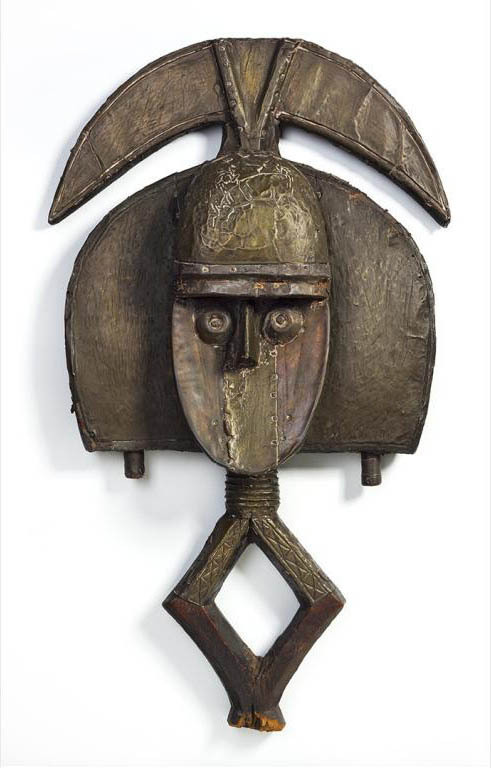 Kota figure (Gabon). Height: 62 cm. Ex Stieglitz and featured on the above photo. Image courtesy of Fisk University and Crystal Bridges. In February 1916, Stieglitz used another Kota reliquary figure to illustrate the cover of the 12th issue of his 291 magazine (named after his gallery). This example was rediscovered in a New England estate in 1981 and is now in the Dapper Museum in Paris. This entry was posted in Auctions, News and tagged Kota on December 23, 2014 by admin.